Proving that science can be freakin’ fun. 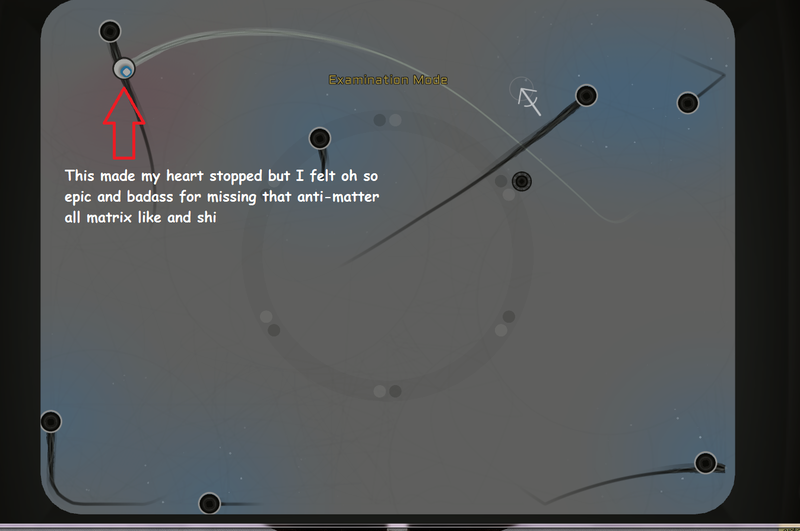 Particulars is not only an eyegasm game (see how I had to make up a word just to describe the game? ), but it’s also challenging, refreshing, and finger crampingly fun. That’s right! 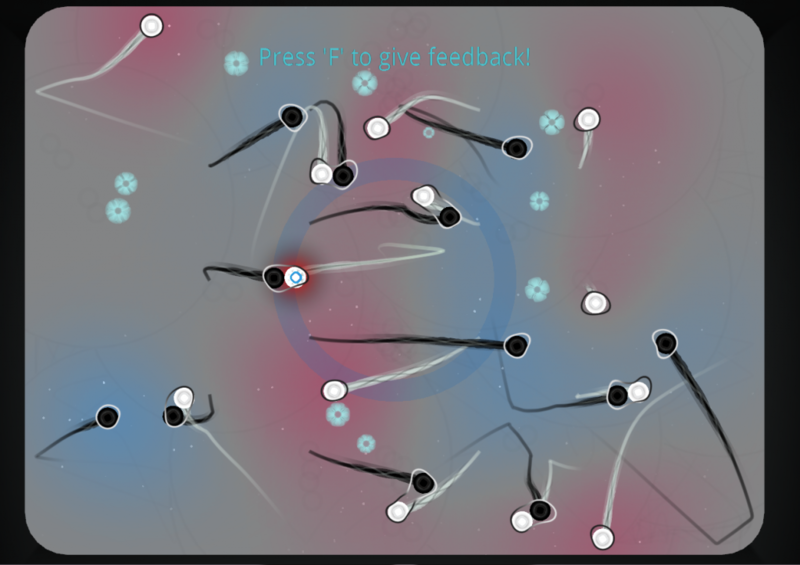 a science game that requires you to tap into your inner finger ninja skills. I would like to thank Surprise Attack, a company that distributes indie games including this one; for providing an alpha key in order to test out this wonderful game. Also, I want to send out my congratulations to both your company and See Through Studios for getting Particulars GREENLIGHTED >:D HOOOHAH! What got me interested: As I mentioned earlier, I was contacted by someone on behalf of Surprise Attack to check out this game. When I checked it out, sure I was entranced by the pretty colors and explosions, but what really mesmerized me was the concept of this game. I was so very intrigued on how they had incorporated physics into a puzzle game. There aren’t a lot of games like this out there. A similar game that I could think of, in terms of using science as a muse, would be “Foldit”, a game that challenges people to solve protein structure problems (this game actually helped solve “MPM-V”, a relative of the HIV virus found in monkeys). The game has a very helpful tutorial in the beginning levels which I really appreciated. Especially because when I was watching the video trailer, I got a little intimidated. It looked like a simple enough arcade/puzzle game at first. Until I saw the higher levels with all these other particles in complicated positions, colors, and effects towards each other. I was like, “well shi–”. I was still saying that on many of the levels. Simple to complexity. Boom Boom Boom of colors! This is going to sound contradictory at first but visually, it’s pretty simple yet at the same time, it becomes the exact opposite depending on what you have to do to solve the puzzle. 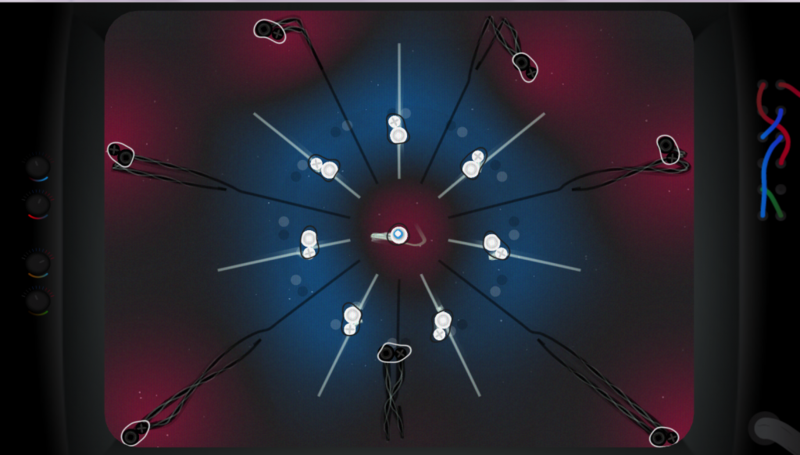 It’s not like other puzzle games where often times, it’s visually noisy all around. Meaning, there’s a lot going on in those games even when color is absent or limited to a low amount. The scenery, background, etc. would still be very detailed. Not that it’s a bad thing since many of the puzzles HAVE to be that way because it plays a big part on their games’ mechanics and what their game represents. Not to mention, it’s their games’ unique artistic style. In Particulars however, all levels starts off visually simple. There’s really only circles with colored glows in this game. However, as you progress through the levels, you’ll be treated with explosive chain reactions where colors blend and bloom all over the screen (the eyegasm part). I mean just look at the pictures below. As you play the game, you’ll be able to read some of the life stories of the “player”. I found this to be very enjoyable because although I couldn’t see the person moving the particle, it gave me a sense of bond with the person behind the machine. Also, a lot of the snippets made me laugh and were quite entertaining. My most favorite life snippet of hers. She feistehhh. This game has great music for sure. It really sets the mood especially on levels that involve many particles. There’s some levels that look like there’s a war about to happen between the particles and the music really compliments the feeling of, “oh shi-”. For me anyway. For an alpha build. The game is pretty polished which surprised me. I haven’t come across any kinks or bugs either. The controls (arrow keys) are pretty smooth but you have to have some fast reflex and quick thinking to be able to finish the levels. When you move your particle, it basically slides across the screen like it’s on ice, so not only must you control how fast or slow the particle skates through the screen, you must be weary of the other ones and evade, capture, and purposely hit other particles for desired/required domino effects. That’s right. You’re fingers must become badass tactical ninjas like Shikamaru from Naruto (one of my most favorite characters along with Kiba). Making this game feel like you’re “tokyo drifting” in a matrix like fashion like a sir. You go into “slo-mo” when you’re close to the dark anti quarks that makes you explode. In Particulars, the most common way for level completion requires you to evade and/or hit particles. On some levels however, you must act as a delivery man/woman and deliver the designated particles onto certain areas. Easy enough? Yay and nay. 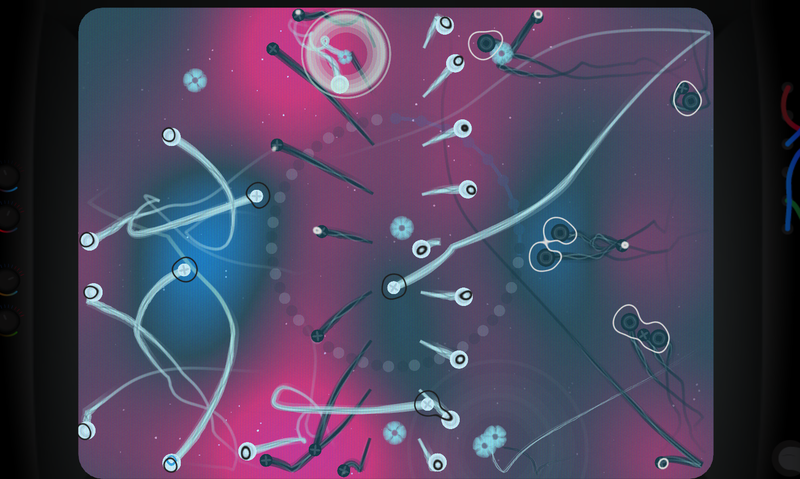 You must take into consideration how fast you’re gliding across the screen as you try and catch the other particles. Hence, speeding too fast will cause the particle you already captured flying off your quark. Also, you have to be tactical since there’s a limit in how much particle you can carry and to top that off, the particles you’re retrieving must be placed on their spots long enough for you to put all the other particles inside the designated areas. Let me tell you, those particles don’t stay still so I was all over the place. 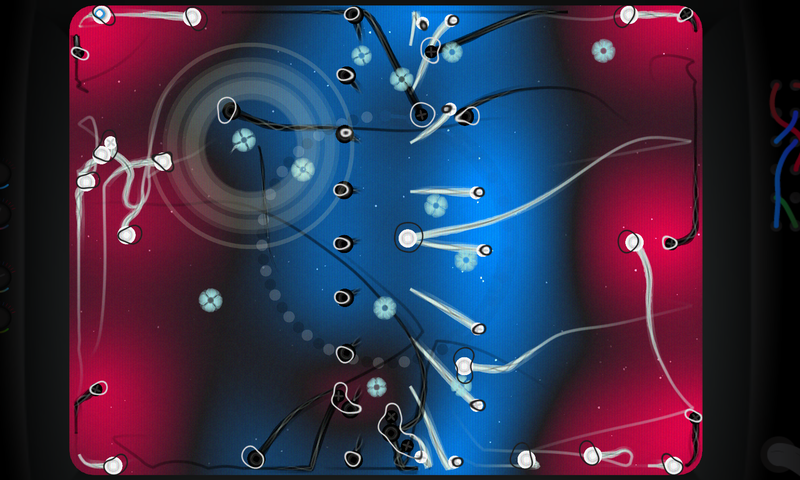 Some levels of the game, as I’ve mentioned, looked like a war is about to happen between the particles. These levels are actually one of my favorites because I can grab a couple of particles and use them as shield against the evil anti dark quarks legions! I felt bad but it must be done. I feel as if the progress of the game’s difficulty was done pretty smoothly. I’ve played puzzle games where it was too easy in the beginning, then next thing I knew, I got thrown into a clusterfudgestick and I end up wanting to pimp slap anyone who bothers me as I try to finish the puzzle and fail miserably due to the ninja’d difficulty. I think everyone one of us has come across such games. I like the sense of achievement and rush that I would get whenever I completed a hard level or when I’m speeding through the screen and evading those anti matter thugs like the ninja that I am. The challenges that I have to go through every level really kept me playing. There’s just so many things to take into consideration in terms of particle effects as well as fulfilling the levels’ requirements. Nothing was monotonous for me. It’s hard for me to explain but I’ll try my best. For me, although many of the puzzles I’ve played got difficult as I progressed through the levels, they still had the same basic foundation and concept in terms of solving them. 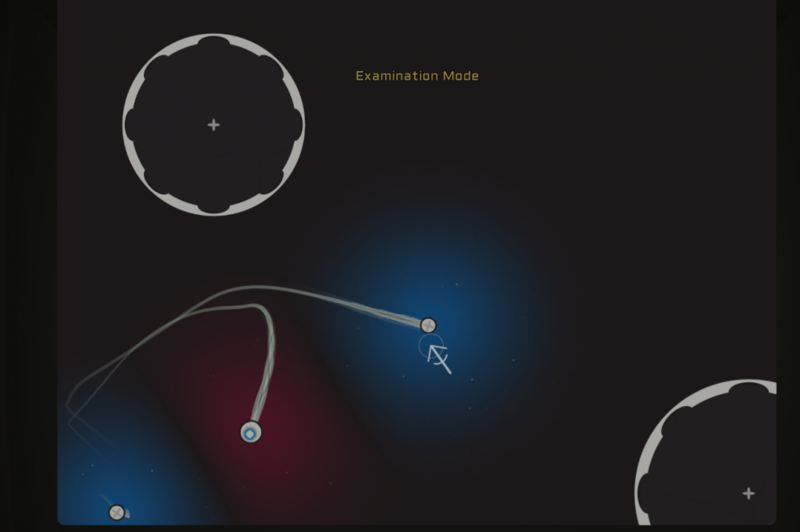 In this game, many of the levels had to be solved differently from each other and you have to be fully aware of everything going on around you. It’s personally refreshing although sometimes it makes me want to reach through the screen and squish those anti-dark quarks to smitherins. PS: I ended up feeling a bond with my quark. Especially when I have to grab other particles. They are now my little friends and I will name them squishy, for they are my squishies and I am theirs. I recommend this game to kids. It has the ability to make them curious about physics. I’m more of a life science type of gal, such as biology and paleonthology in terms of scientific knowledge and interest. Having said that, I had to wikipedia what a quark is as well as how they work because I only know about particles that I learned in high school (no quarks there). This game honestly made me more interested in physics in terms of the particles effects towards each other. Of course, the game’s particles aren’t exact replicas of the originals, but it did make me check out if they really react the way they do. Having said that, I feel like Particulars also serves as an educational game. I would seriously have kids play this. Includes: Supporters Pack free Alpha access on our next game ‘How We Got Here’ pack a unique ‘Thank You’ message in the credits. Was this the first game you’ve made? Yes and no. Particulars was the first game I ever made, back in 2009, but back then it was a tiny flash game (you can still find it on newgrounds). Since then both I and the studio have made a number of games and built up our skillsets considerably. 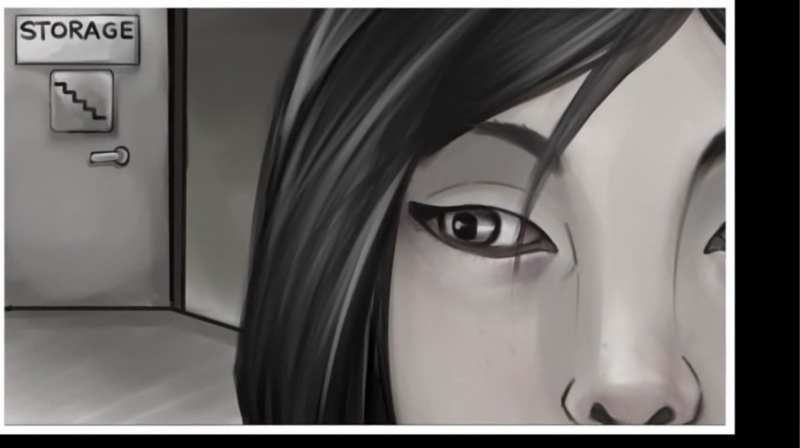 Particulars is the third game we’ve made as SeeThrough Studios. What made you decide to make a game with this concept? One of the courses I did as a part of my Physics major at university was High Energy Physics. 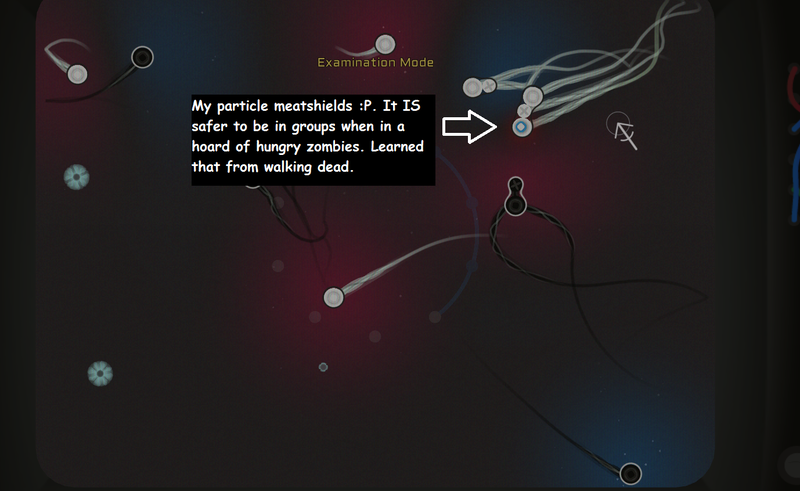 I found the course quite inspiring, and thus decided to explore the world of quarks through a game. At the time, I had no idea that it’d eventually become the fairly large game that Particulars is. Did any/all of you had prior knowledge and/or experience that essentially became the basis of the particles in the game? or was it one of those things where you genuinely had an interest on the subject and everything just went on from there? As mentioned before, I had the prior experience here. There’s still quite a few things that needed to be researched for the game, but a large chunk of it is from the course I studied. How difficult was it to develop the mechanics of the game? Was everything going according to plan? Were there any roadblocks? Many of the mechanics of the game were surprisingly easy to create, though it was somewhat more difficult to hone them to be as satisfying as possible to play. The hardest thing was to figure out what a level is: how long they’d be, if they’d all have the same length, and so on. What do you guys do for your free time? Saul (my co-founder) is currently raising a 6-month old daughter and playing a lot of Card Hunter, and occasionally runs D&D games when he finds the time. I’m developing a board game about time travel and learning to tango. Any plans for future projects yet that’s okay to talk about? I think we can say that our next game is going to be an ‘ecological tower defence’ game. We’re prototyping right now, so a lot of the details are still being worked out. Any advice for those starting out who are also inspired by their interest? Don’t be afraid to let go of an idea: if it’s good, it’ll come back. Also, if you’re making a game about something you love, you’ve got to spend some time to figure out why that thing is amazing, and how you can expose that to your players.